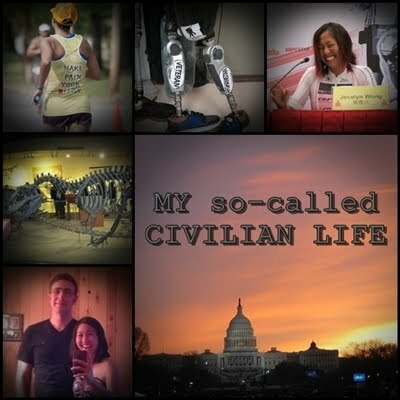 My so-called CIVILIAN LIFE: "This will be 21 for me." Tri-guy: "Seems a far way out, doesn't it!" Wongstar: [reassuringly] "It'll be much easier swimming with a bunch of other people." Tri-guy: "So have you done this distance before?" Tri-guy: "A few of them then?" Wongstar: "Yeah...I've done a few of them. How about you? Is this your first?" Tri-guy: "Oh no. I've done a few of them too." Tri-guy: [all nonchalant-like] "Yep. This will be #11 for me." Wongstar: "oh? This will be #11 for you? This will be #21 for me."